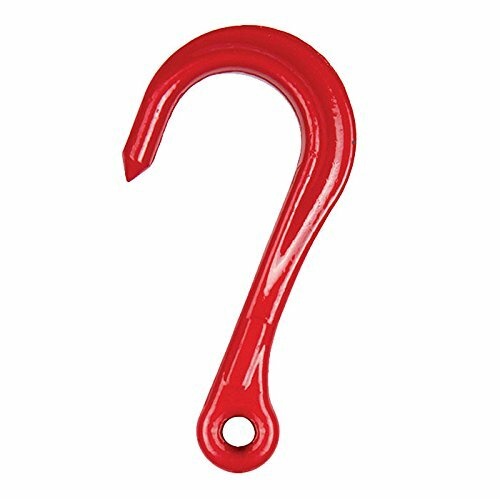 This hook is intended to be used as an anchor in an engineered system for firefighter escape applications. The hook is intended to be a component of a system specifically designed by a qualified person for firefighter escape. The user is to be trained in the proper usage of the system. Forged Alloy Steel is quenched and tempered. The bowl (saddle) of the hook is designed to easily fit around pipes or framework, and the machined tip is rated for full Working Load Limit. This hook was designed in conjunction with members of FDNY as a component in their fire escape system. Meets the requirements of NFPA 1983 for Light-use Auxiliary Equipment and labeled as such. If you have any questions about this product by Crosby, contact us by completing and submitting the form below. If you are looking for a specif part number, please include it with your message.